The sound of diesel-powered trucks driving down the expressway is the sound of America beginning the rebound from the Great Recession. As companies begin to ship more and more goods, the roar of diesel engines can be heard from one corner of the country to the other. 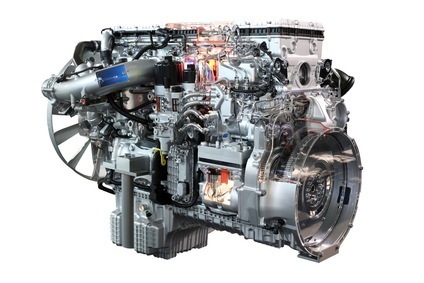 The reliability and superior fuel economy of diesel engines make these vehicles the preferred mode of transportation for shipping fleets in and around Louisiana, creating a huge demand for certified diesel mechanics. Before an individual can enroll in an accredited institute to become a certified diesel mechanic, several educational prerequisites need to be met prior to enrollment. Almost all colleges and institutes require potential students to have earned their GED or high school diploma before they are allowed to enroll. Stricter colleges require that students have completed certain high school subjects prior to admission, with the most common being two years of science and math and four years of English. The majority of Louisiana companies looking to fill empty diesel mechanic positions are searching for candidates who have their certification or degree in diesel technology. While an extremely limited number of employers offer certification courses to candidates who have experience but no formal training, most companies are expecting their diesel mechanics to be certified upon hire. For those who wish to obtain their certification or degree in diesel technology, most community colleges and vocational institutes offer coursework to help students become certified diesel mechanics. Students who are looking to stand above their competition can pursue an associate or bachelor’s degree to help their resume stand out to future recruiters. The Associate of Science in Diesel Technology offers a balance between college and workforce, with most students ready to work as diesel mechanics in two or three years. For more studious individuals, the Bachelor of Science in Diesel Technology is an advanced degree that takes most students four to five years to complete. Before enrolling, it is important that students take the time to verify that their program is accredited by the National Automotive Technicians Education Foundation (NATEF), which has become highly coveted by employers who are searching for new employees. The associate’s degree program allows students to completely immerse themselves in the repair and diagnosis of diesel engines. This program offers an exciting challenge to its students as it attempts to turn novices into diesel engine experts over the course of four semesters. Most of the coursework is completed in a garage or lab setting, allowing students to gain hands-on experience. Students who dream about one day holding a management position at a Louisiana company often decide to take their education one step further and pursue their bachelor’s degree. The bachelor’s degree program in diesel technology teaches student the methodologies and fundamentals of diesel engine function and repair, helping to breed a deeper understanding of diesel engine components. Although the state of Louisiana does not require diesel mechanics to be certified in this field of expertise, a majority of companies looking to fill vacant diesel mechanic positions require that candidates are certified prior to hiring. Some employers may be willing to work with applicants who have several years of experience in diesel technology but will still require that candidates obtain their certification within so many years of being hired. For students looking to show future employers their dedication to the diesel mechanic industry, certifying through the National Institute for Automotive Service Excellence (ASE) proves that the diesel mechanic can work on and repair electrical systems, brakes, and steering systems. Earning this certification also greatly increases the chances of qualifying for a higher paid position. According to the Bureau of Labor Statistics (BLS), the 3,300 diesel mechanics employed in Louisiana make an average of $40,580 per year. This sector is expected to add 35,200 more jobs to the United States’ economy as a whole. The growth rate is expected to hit 15 percent until 2020, making this a very promising career field. As the national economy continues to bounce back, so will the demand for diesel mechanics throughout Louisiana and neighboring states like Texas and Mississippi. From municipal work to self-employment, the opportunities as a diesel mechanic are abundant, with most jobs offering competitive compensation plans, career advancement opportunities, and a stable job market. Aspiring diesel mechanics who are interested in pursuing a career in the mechanic industry need to begin actively looking to enroll in a diesel technology program today. [The schools below offer different training programs: some offer diesel training and other auto, motorcycle and or avionics training].